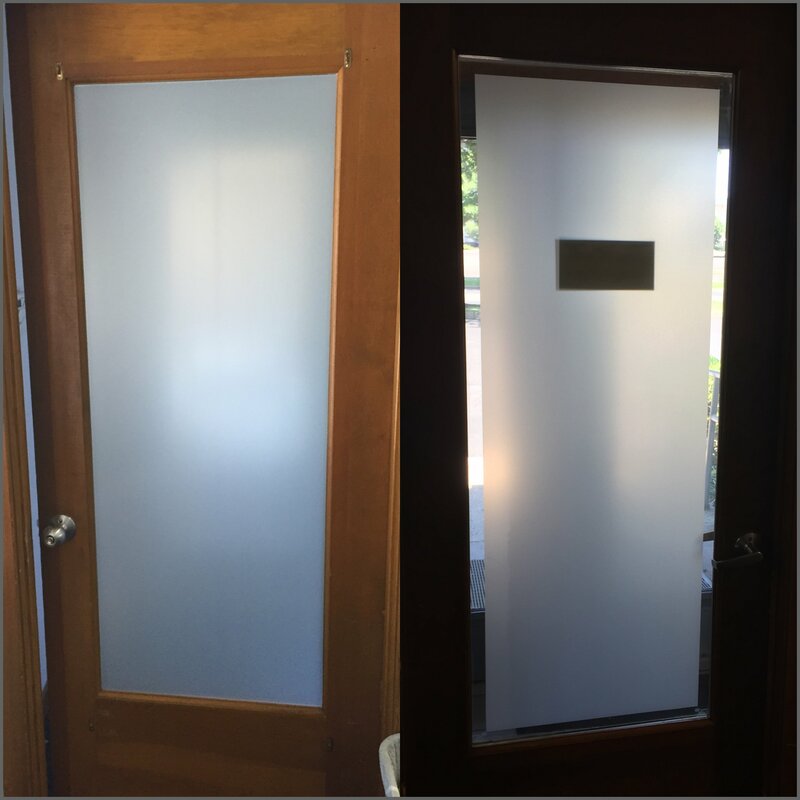 Precision Glass Tint was happy to help this doctor with his desire to add privacy and decor to his entryway and other doors within the office. We used a white frosted decorative glass film to give the desired privacy, but still allow the light to come through. Check out the pictures below of the front door and one of the office doors. Call Precision Glass Tint today at (609) 801-9200 or email us at info@precisionglasstintnj.com to ask us any questions about decorative glass film. We would be happy to answer any questions and give you a no cost assessment and estimate on adding window films to your next project.